City directories are one of my favorite genealogical resources. In fact, they helped me solve themystery surrounding my Marsden Brown ancestor. Browse the pages of various types of directories to discover where your ancestor worked, lived and played. City Directories are for more than family research. The details can help you date a photograph or plot your relative on a map. The Federation of Genealogical Societies announces two new webinars focusing on the use of military records in genealogical research. These webinars are FREE and open to the public! Take a closer look at the wide variety of records documenting our local militia companies. From annual muster to supplies and appointment of Officers, learn how these records may be used in your family research. Learn more about the military organization of citizens called for the purpose of local defense, who served this country from the Revolution through 1812 and on to the development of the National Guard. J. Mark Lowe, CG, FUGA a full-time professional researcher & educator, formerly APG President and FGS officer. You will find him researching for clients including Who Do You Think You Are?, African American Lives or Biography’s uneXplained. With his love for teaching, you will see him at SLIG, IGHR, numerous webinars or at your local society. This lecture will focus on the records created by the War Department after the War. It will include compiled military service records, pensions and pension payments. Craig Roberts Scott, MA, CG is the President and CEO of Heritage Books, Inc., a genealogical publishing firm with over 4,900 titles in print. A professional genealogical and historical researcher for more than twenty-eight years, he specializes in the records of the National Archives, especially those that relate to the military. He is the Coordinator of the Advanced Military Track at IGHR and SLIG. The Georgia Genealogical Society is pleased to sponsor the presentation "Photography and Genealogy" with Karen Molohon on July 15th, 2013. Summary: The Photography and Genealogy presentation will highlight the importance of photography in genealogy research, history and types of photographs, clues in the family photographs, photographing - documents and gravestones, scanning documents, photography preservation, photo editing software, and setting up a family archive. Presenter: Karen Molohon has been involved in genealogy research for more than 20 years having gained the interest from her great-uncle. One of her current interests is teaching family history courses in her local society – specializing in getting started with researching, organizing your genealogical research, and census records as well as photography. She is also a photographer interested taking wildlife, landscape, and outdoor photographs. 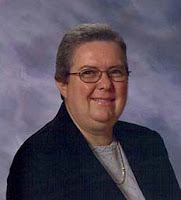 She is active in the genealogical community currently serving as: Webmaster of the Genealogical Society of Cobb County and Georgia; Publications Director for the Georgia Genealogical Society. She previously served as President and other positions of the Genealogical Society of Cobb County, Georgia. In addition, she has attended several NGS and FGS conferences to enhance her research techniques. Karen has a Master’s Degree in Technical Communication from Southern Polytechnic State University and works as an Information Designer for an international airline telecommunications company in Atlanta, GA.
After registering you will receive a confirmation email containing information about joining the Webinar. You will use your unique URL in your confirmation email to logon to the live broadcast on the 15th of July.